[slideshow] Rolls Makes about 10, depending on the size. Ingredients: 500g plain flour ½ teaspoon salt 1 packet instant yeast 2 tablespoons oil 2 tablespoons plain yoghurt 25g sugar 1 egg ½ - ¾ cup warm milk Method: In a large bowl add the flour, salt, sugar and yeast. In a separate bowl mix the egg, oil and yoghurt. Add to the flour. Add the milk and mix thoroughly. Knead the dough until smooth and the dough no longer stick to your hands. Cover the bowl with plastic and leave to rise in a warm place until double in size. Knock the dough down to let the air come out. Divide the dough into 10 and form into shapes. Place in a baking tray dusted with flour. Leave to rise for 10 minutes. Brush with beaten egg, sprinkle with sesame seeds (optional). Bake in a preheated oven at 190C until light brown approx 25 – 30 minutes. 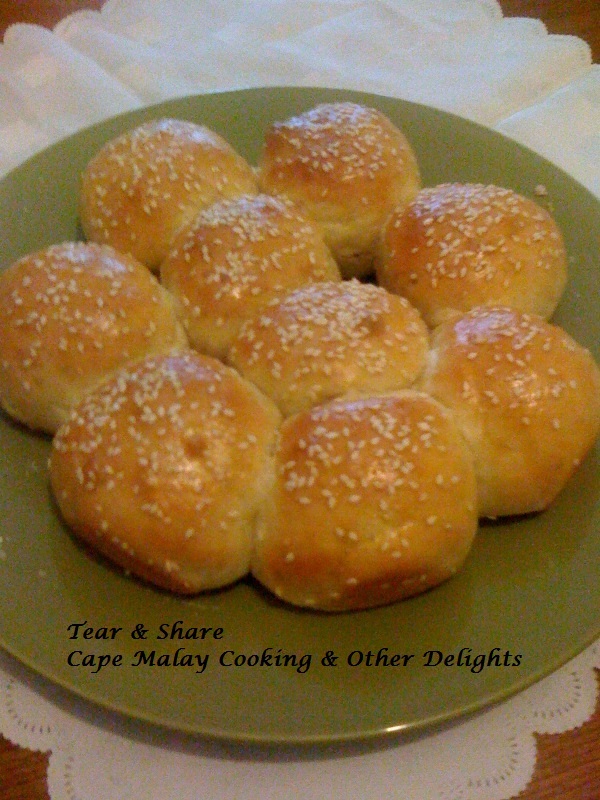 Tear & Share I've used my basic rolls recipe for this, use small pieces of dough roll into a ball between your palms. Arrange in a round baking tray couple of centimetres apart to allow rising. Bake as usual and enjoy! 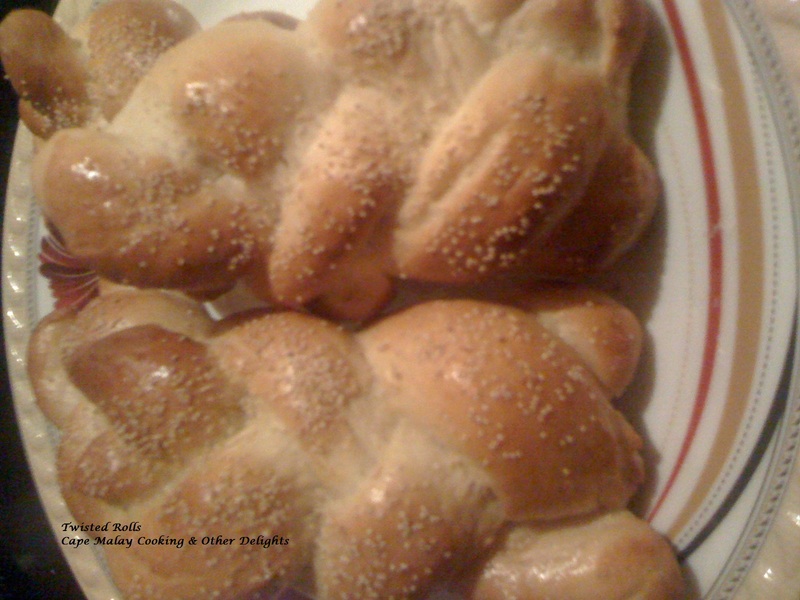 Plaited Rolls Again I've used the basic recipe. Divide the dough into three equal pieces and roll to form three even 'sausage' shapes. Plait the three dough 'sausages' together to form a large loaf and place onto a lightly floured baking tray.